Daryl Johnson (Worcester Park, United Kingdom) on 18 September 2008 in Architecture and Portfolio. Une étonnante photo qui en fait une œuvre d’art. How unusual, very original Daryl :) Hi, I'm back! @Lorraine: Thanks Lorraine! Are you hanging around? Very cool and detached with the angle and the treatment, well done! @Wolfgang - vu@granby: Thanks Wolfgang! Nice angles, the image has a monochromatic feel which gives it a necessary robustness, top work with these architectural images. I like the modern angle on this image, which is engulfed in lots of negative white space. 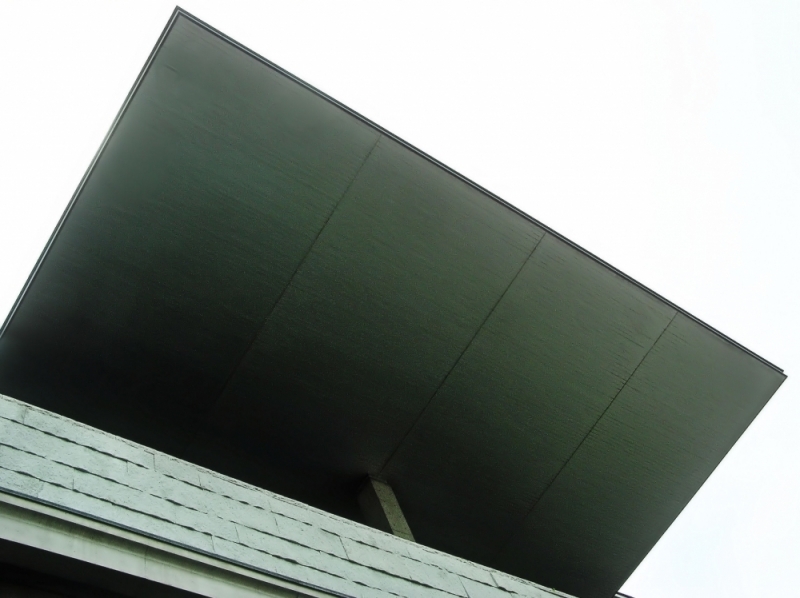 I don't think this kind of cantilevered roof would survive a hurricane. abstracted - and beautiful -- lovely angle and composition!